Credit Report & Credit Score Basics: What's a Good Credit Score? In the financial industry, banks and creditors don't have the time or resources to get to know you. Instead, they rely on a three digit number that defines your financial history and credit worthiness. This number is more commonly known as your FICO credit score--or credit rating--and can be found in your credit history report. In addition to this credit rating, your credit report includes detailed information about your identity, previous and existing credit relationships, court actions, and previous credit inquiries (read more on How Credit Scores are Determined). These credit reports are compiled by three major credit bureaus and will keep track of your existing debt, on-time payments, late payments, delinquent accounts, foreclosures, bankruptcies, and a wide range of other data. The credit scoring system is designed to evaluate your entire credit history and provide a standardized score to banks and lenders. Your credit score is the total number of points you receive based on how creditworthy you are, how likely you are to make payments on time, and the probability that you'll eventually repay your loans. And whether you're applying for a credit card, car loan, or mortgage, most, if not all, creditors will categorize your credit performance based on this score. Just as you know which friends and relatives you can lend money to, this credit rating has become the industry standard to evaluate your credit reputation. If I Know My Credit Score, Do I Need a Copy of My Credit Report? It's always good to know your credit score, but your credit report is just as important. Since your credit score is based entirely on your credit history report, it is important that you obtain both your score and your report. Most importantly, by obtaining your credit report, you can review your history for inaccuracies and mistakes. Some credit experts estimate that as much as fifty percent of all credit reports include at least one mistake or inaccuracy. 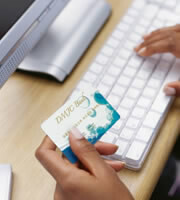 Additionally, you can more easily spot identify theft or fraud if you obtain your credit report at least once a year. Since there are three major national credit reporting bureaus, it is also recommended that you obtain your credit report and credit score from each of these three agencies. Interestingly, not all creditors such as credit card companies and mortgage lenders report your credit history to the same bureaus. For example, a credit card company may report your account to only one bureau, whereas your mortgage lender may report to all three bureaus. As a result, it is quite common for your credit score to vary among these three major bureaus. Additionally, when applying for certain credit such as a home loan, some creditors may be interested in all three of your scores. What about all these free credit report offers? Are free credit report offers a scam? You are eligible for a truly free credit reports from the three major credit reporting agencies — Equifax, Experian and TransUnion — by visiting AnnualCreditReport.com. (Note: This will just provide you with your credit report - not a credit score, which is the number that lenders - including credit card companies - use to evaluate your creditworthiness). AnnualCreditReport.com is the official site to get your free credit report — other sites may offer free reports, but they do so generally as a lead-in to selling you other credit products. You are entitled to your free credit report once every 12 months. What Is My Credit Score? What is a Good Credit Score? A high credit score, or excellent credit rating, is one of the major factors to obtaining the best loans. With a good credit score, you'll have access to credit cards with better benefits, mortgages with lower interest rates, and car loans with better financing terms. So what qualifies as a "good" credit score? Well, the perfect FICO credit score is 850, and the lowest score can be 300 or 0 (no credit). But in general, credit scores above 720 are considered excellent, while scores between 680 and 720 are considered "good". Credit scores between 640-680 are considered average, and scores below 640 are typically viewed in poor standing. Why Should I Find Out My Credit Score? What Score Do I Need to Qualify for Low Interest Rates? While credit scores can range anywhere from 300 to 850, consumers with high credit scores are more likely to obtain loans with lower interest rates and better terms. This includes all types of loans such as credit cards, mortgages, car loans, and various personal loans. So if you take care of your credit, you might just be approved for the lowest apr credit cards out there. In order to qualify for the lowest interest rates on such loans, it's usually necessary to have a credit rating above 700. By finding out your credit score, you can also get a better sense of what range of interest rates to expect. As an example, knowing you have an excellent credit score can help in negotiating a lower rate of interest when it comes to finding a car loan or mortgage. Additionally, your credit score can play a factor when applying for a job or searching for an apartment. Potential employers and landlords often request your credit report and credit score to get a better picture of your financial situation and reliability. In some cases, a poor credit score may even disqualify you for such opportunities since you might be considered a risk. How Should I Handle Credit Report Mistakes and Inaccuracies? How Can I Improve My Credit Score? When you obtain a detailed credit report, there will be specific instructions included to help you fix any errors or inaccuracies on your credit report. Although disputing an error or inaccuracy can be time-consuming, there is no fee required to dispute items on your credit report. And while correcting mistakes can improve your credit score, you should definitely focus on the traditional method of building up your credit history to improve your numbers. Remember, improving your credit score is a process, and won't occur overnight. 0 Responses to "Credit Report & Credit Score Basics: What's a Good Credit Score?"